Rumma is located in the province of Småland but in the county of Östergötland. Near Rumma there are more than 20 lakes with lots of fish in beautiful surroundings. The lakes are close to each other, sometimes separated only by a small neck of land or a ridge. 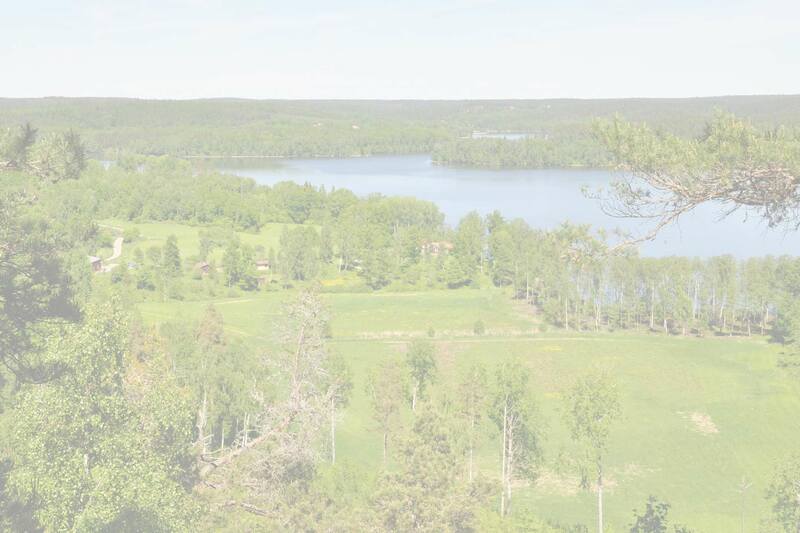 Lake Storsjön and Lake Västersjön, in which Rumma own a part of the fishing right, is situated between wild and woody shores. Here is plenty of pike, perch and whitefish such as bream and tench. Lake Vindommen is located just south of Rumma, which is the most beautiful lake in the area with many bays, headlands and shallows. The lake is 1400 hectares and has a rich fish stock of pike, perch, goose and other whitefish. Read more about Vindommen. In Yxningen, which is the largest lake in the neighborhood, there are both brown trout, arctic char and Gullspång salmon. Rumma farm is an active agriculture and forestry farm but without the continuous open land, you find in the flat country. Here small patches of arable land and hayfields are intermixed in the dramatically hilly wood landscape. Road E22 by Valdemarsvik, to Åtvidaberg and Falerum. Highway E4 road 35 Linköping – Åtvidaberg-Falerum-Rumma, sign at Rumma.